Sorry for the slightly boring snap, but when you’re 11 posts into a photo taking taking session, you start to lose your mind creativity a bit! Anyway, I’ve found the above lipsticks seem to have lodged themselves firmly into the pocket of my bag this month, so I thought I’d give them a bit of airtime. 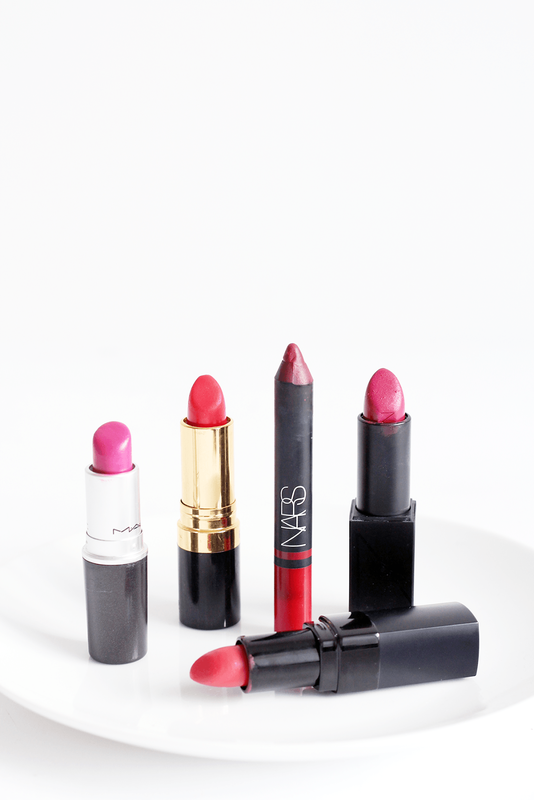 Left to right we have the amazing bright pink that is MAC Lipstick in Girl About Town. I go through phases of wearing this one, but it’s firmly on my radar this month. It’s a bold, blue-toned and vibrant pink shade which looks surprisingly flattering on, despite how bright it is! Definitely one to swatch. Bobbi Brown Rich Lip Colour in Watermelon has been my most worn shade since I bought it a while back. It’s literally summer in a tube, offering a bright red-orange tone to the lips – like a, errr, watermelon shade. Yup. Gorgeous on and I’ll probably wear it forever. For a classic red, I’ll always reach for NARS Satin Lip Pencil in Majella as it’s my all time favourite. It leans more dark than the typical cherry tone, but that’s what I like about it. It goes on easily and stays put, plus with it being a satin finish, it isn’t drying! 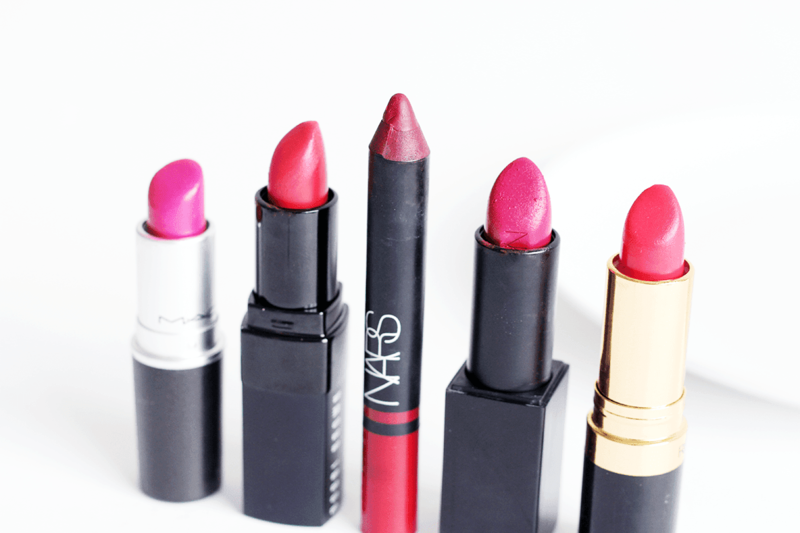 Another NARS offering and it’s the NARS Audacious Lipstick in Vera. This is a bit of a showstopper shade in my opinion, as it’s the best bright fuchsia that really makes an impact. I adore the formula of these too, as they’re long lasting and super pigmented. Finally, Revlon Lipstick in Fire and Ice has crept its way into my handbag recently. It’s like the more orange version of watermelon, offering a bold lip look that packs a colour punch. I love teaming this with matching nails and will definitely be doing that this summer! What’s your favourite lip shade of the moment? Don’t forget to enter my USA beauty giveaway for my 3rd blog birthday!